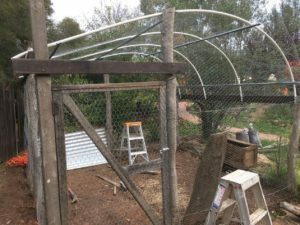 We have a great new chicken coop. Thank you Huw, Evan and Dominic. We are really appreciative. We also have two new guinea pigs, Spagetti and Rocky. Thank you Class 2. We are looking after them and loving having them in kinder. Our room has been busy each morning with such varied and imaginative play. The children are enjoying kneading the dough and helping to make the pizzas for our lunch on Wednesdays. On Monday 5th of June, 10.50am- 1pm, parents are invited to join us in Prep to work with the children and help us tidy our garden for Winter. Details will be sent by email. We also hope you will join us for our Winter Festival on Wednesday 21st June at 5.45pm. We very much enjoyed our small Play “The Silver Saucer and the Rosy Cheeked Apple” last week – learning our lines was fun and our memories are very strong in Class 2 ! We have also begun our “Morning Book” which we use each morning for working with our number processes and are enjoying the beautiful Autumn environment we have outside both for playing and learning. Thank you to the parents who attended our class meeting last week. As discussed at our meeting; the class were given their Homework Folders this week. The purpose of their homework is to reinforce and practice skills. I have recommended that they do at least three sessions per week. This should not take anymore than 10-15 minutes per session. Skills we as presently focusing on are times tables and spelling. Completed homework is to be returned in the orange Homework Folder on Fridays. If you have any concerns or inquiries concerning your child’s homework please let me know and we can discuss the matter. The class have been very enthusiastic with their cooking time each second Friday and last week we enjoyed hearty minestrone soup. Thank you to Renata and her helpers. Students started the term with Part II of Ancient Roman History. They have been researching aspects of the era that interest them and will present the results of their investigation and what they have created or made in oral presentations next week. We are nearing the end of our study of geology this week. Thank you to parents who trusted their student to bring some very interesting and, in some cases, valuable rock and metal specimens. 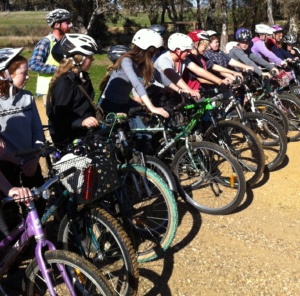 Recently the Class also enjoyed the challenge of riding most of the newly developed Castlemaine to Maldon Bike Trail. The sunny Central Victorian conditions were just right for the outing. Thank you to Penny Gilbert and Evan Anthony for their care and attention to the needs of the students. Everyone agreed that it was a great day and a good way to experience some of the local geology and landscape. We have been receiving travelogue reports from the Class Foreign Correspondents; Amy from the USA and Amos in France. Amy returned last week with her latest news of the land and the state of the Nation. Amos and family are in Paris and soaking up more culture and history. All of our French students are busily working as we approach the middle of second term (already!). Class Six have mastered the song Brille brille, petite etoile (Twinkle, Twinkle Little Star) and looked at the days of the week in French and their connection with the names of planets, all as part of their Main Lesson work on Astronomy. A beautiful conclusion to this will be the reading of the story Le Petit Prince over the coming weeks. And as part of the Main Lesson work on Rome, we have also taken the time to look at the true story of Vercingetorix the Gaul, hero of resistance against Roman rule and model for the much better known Asterix the Gaul! Class Seven and Eight have also been busy with a unit of intensive work on grammar and language structure. We will soon be putting this to good use as the basis of some much more creative work on writing our own conversations, short plays and letters. All students and parents welcome and encouraged to sing together! 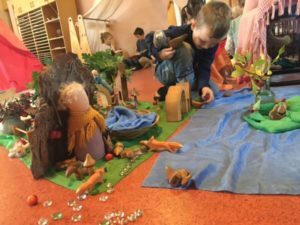 We have the wish to create some special moments to share within the school community as a whole, plus some other exciting community engagement. We already had the joy of being part of the Castlemaine State Festival ‘Sing for Country’ concert. The Class 7 and 8’s have taken ownership of their above-mentioned sessions by creating and participating in their own different skill building activities, using various balls, cones and techniques designed at improving a broad range of soccer and AFL skills. With their newfound knowledge of how to effectively train and coach others, I am confident the children can utilise these new understandings and apply them within their own sporting environments outside of the school. Classes 4 to 6 have focused more on improving the basic skills within the two kicking sports, although there are some very fine sportspeople amongst these groups already, clearly showing a solid basis of experience and understanding that they are working with. For those new to the two sports, it is pleasing to see interest and enthusiasm for discovery and improvement. It was very rewarding to have a group of young girls ask to borrow a football after our session to continue to work on their skills at lunchtime. This came after initial hesitation and disinterest from the girls at the start of our session. Very exciting for all involved. Finally, I would like to wish Jenni Milne all the best for the future, who has resigned from her position in the office. Jenni has been at the school for several years, witnessing and being involved in many positive changes over the time. I have personally had a fantastic experience working with Jenni in the office. She is a very caring, helpful, humourous and loving person, who will be missed by all at the school. I wish you the best for the future Jenni with whatever the next adventure brings. Thank you for many good times! Craft this term is running full steam ahead. Recorder Bags in class 1 are almost completed; all class 2 Hobby Horses are running wild in the playground; Music Bags are well on their way to being finished, only a couple to go; Viking Shields are being painted in class 4; felt Elephants are marching strongly to being completed; hand carved Wooden Eggs are only two to three classes away from being polished. Classes 7 and 8 are taking a break from their current projects and are working on their Winter Lanterns. Order forms for the rest of the term’s school lunches will come home on Friday. You are welcome to order week by week or for the rest of the term as suits you. We’ve kept a note of children who’ve been absent after they’ve paid for their lunch. We should have sent you a message offering a credit towards another meal, but please get in touch if we’ve missed you. 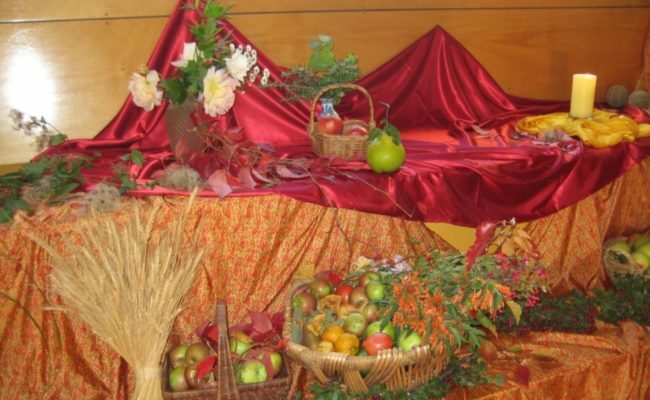 Thank you to those who’ve donated produce recently – Gabrielle, Marg, Merryn for the fruit and Dee for the eggs. We’ve been talking to Growing Abundance about providing lunches next term. At other local schools, they deliver meals in biodegradable packaging. However we’d like to make the lunches packaging free as much as possible. This will probably mean devising a special menu for our school but it should also mean a broader range of lunch choices than we’ve had. Growing Abundance have a fundraising campaign underway to support their fantastic community projects and social enterprises. They also offer regular food related workshops. If you’re not familiar with their work, check out the Growing Abundance website or Facebook page. Craft group are spending the next few Wednesday mornings making syrups, salves and rubs to help support our wellbeing during the Winter months. A leaflet has gone home today or get in touch with Aleesha for more information. 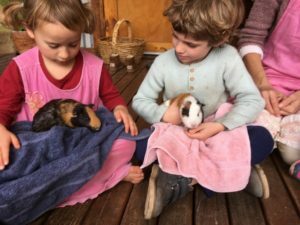 Castlemaine Steiner School and Kindergarten is seeking an experienced Admin Officer, Enrolment and Communications (0.6 FTE) initially for a six month period. This is an important front office role, and is responsible for overseeing the enrolments process and implementing the Marketing and Communications Strategy. To be successful in this role you will have a commitment to Steiner values, and have experience working in an admin and / or communications role in a similar organisation. The role may be split into two positions depending on the skills and interests of applicants. Applications close 5 June 2017.